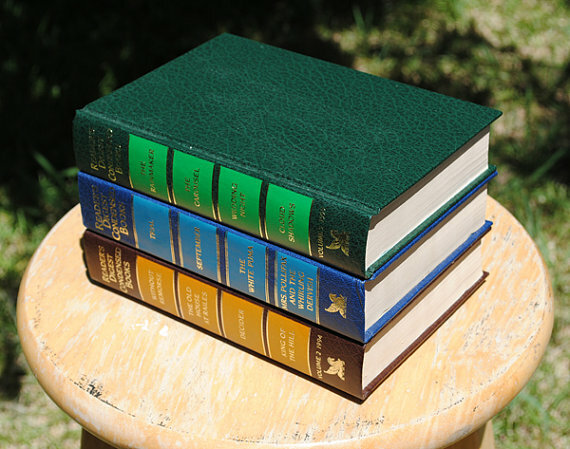 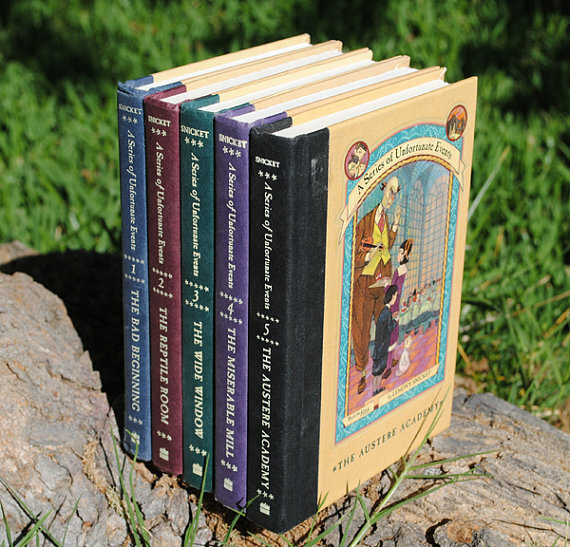 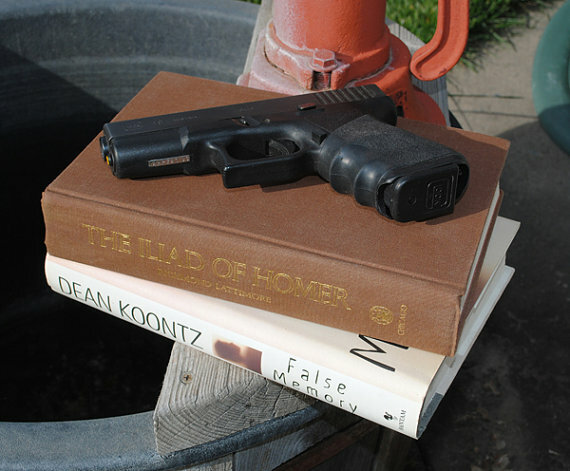 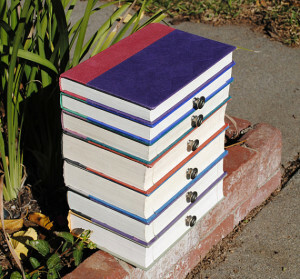 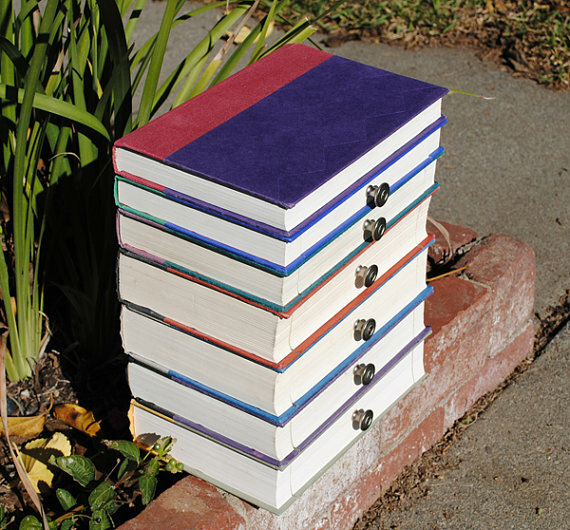 Yes, a standard “Hollow Book” consists of just that, a book with a concealed cavity inside. 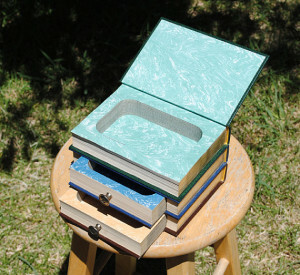 But there is so much more that can be done with book to “re”purpose it into something unique. 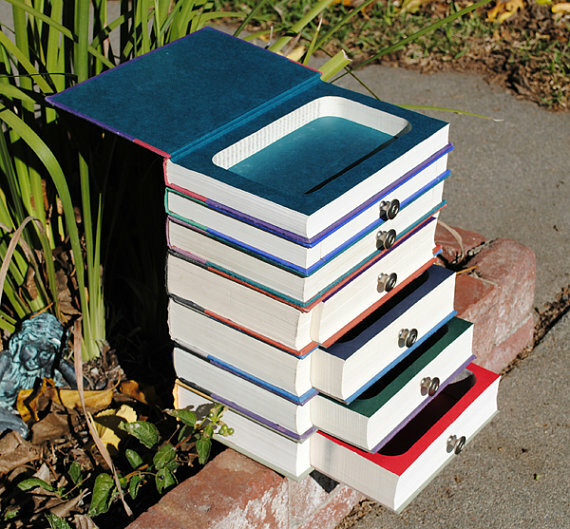 Stacks of books can become a place for one large deep hiding place. 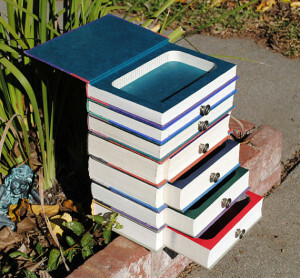 Or, with some planned cutting and creativity, it can become a great jewelry box. 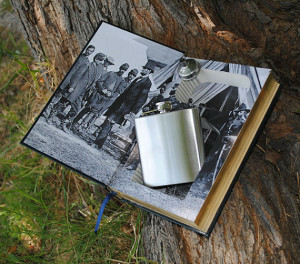 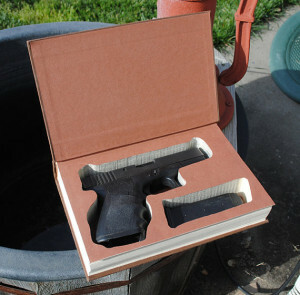 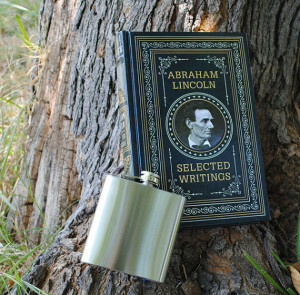 Then you can hide specific things inside, like a flask for a Groomsmen Gift. 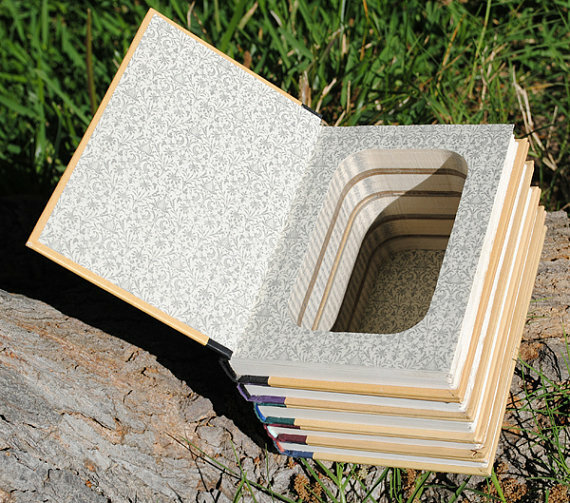 And you can always request a cutout to form fit a specific secret.